"We deeply apologize, and appreciate your patience for further announcements regarding this issue." 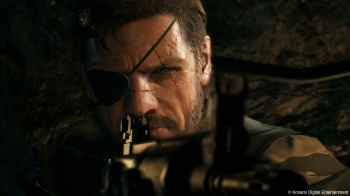 Konami has posted a warning to players that indicates that a bug exists in Metal Gear Solid V: The Phantom Pain that corrupts game-saves in specific situations. Users are affected across all platforms, and according to Konami "there is a possibility that save data may get corrupted and become unusable if having Quiet as a buddy while playing "Mission 29" or "Mission 42"." Konami recommends against having Quiet as a buddy during these two missions until the issue is fixed. Metal Gear Online, The Phantom Pain's main online multiplayer mode, will go live October 6 for consoles and sometime in January 2016 for PC.